From peanut butter oatmeal cookies to oatmeal raisin cookies, here are Food & Wine's best oatmeal cookie recipes. 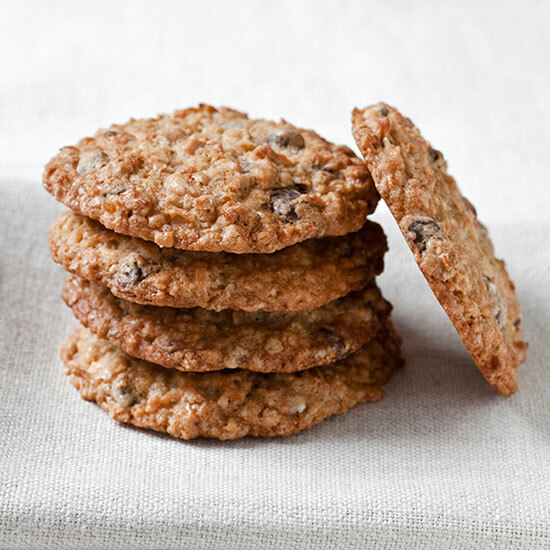 Oatmeal cookies are elevated in flavor and texture with wonderful oven toasted almonds. Soft and homemade oatmeal cookies are made even better with this sweet peanut butter chips. Celebrate figs in this oatmeal cookie recipe with dried figs for added natural sweetness, flavor and dried fruit texture. Dried apricots are a wonderful fruit addition to these easy homemade oatmeal cookies. 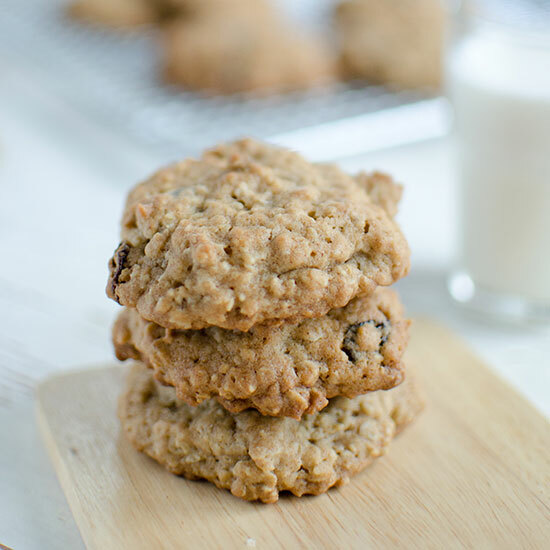 A warm batch of these oatmeal raisin cookies and glass of milk is a simple yet satisfying dessert. Watch the butter as it browns. It can go quickly from almost-browned to perfectly browned. Keeping the butter in motion with the whisk is key. Use a good, pure maple syrup. 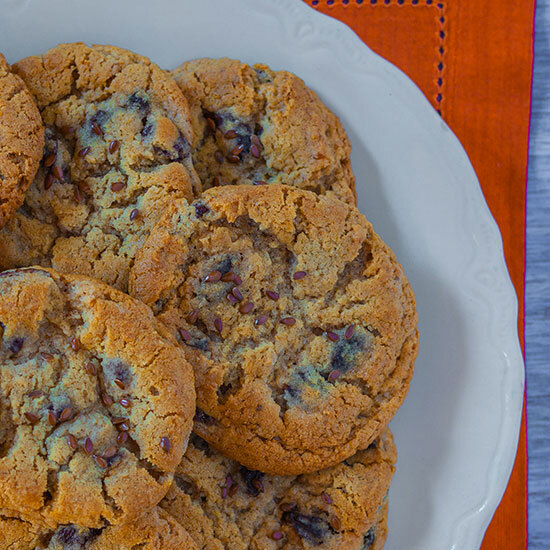 The better the syrup the more the maple flavor shines in these cookies. Be sure the pecans are well-toasted but do not them burn. The toasty edge brings out the pecans’ ingrained nuttiness. Megan Garrelts, pastry chef at Bluestem in Kansas City, Missouri, grew up eating pies filled with cherries from her family’s backyard tree. In this recipe, she combines the fruit with another classic American dessert, oatmeal cookies. 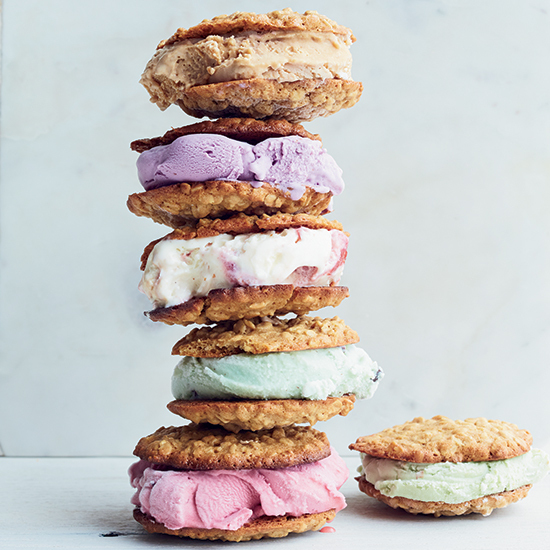 These spiced-just-right oatmeal cookies are the perfect texture for ice cream sandwiches—chewy and soft. These soft and chewy cookies are simple to make and can be modified easily with a variety of additional ingredients, so they're interesting every time. Bacon really does make everything better. 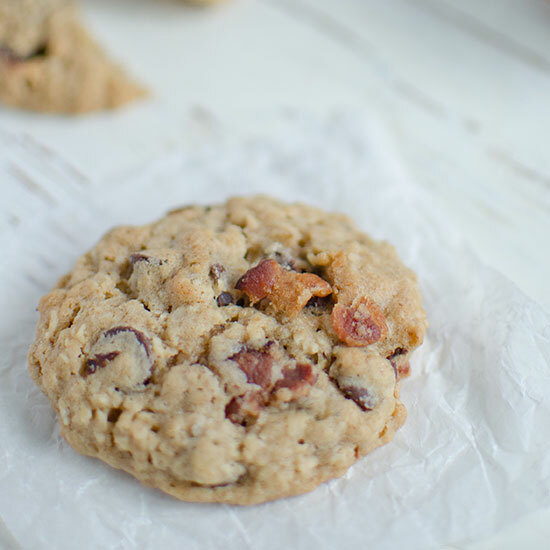 It gives these easy oatmeal cookies a hint of smoky flavor and a little bit of crunch. 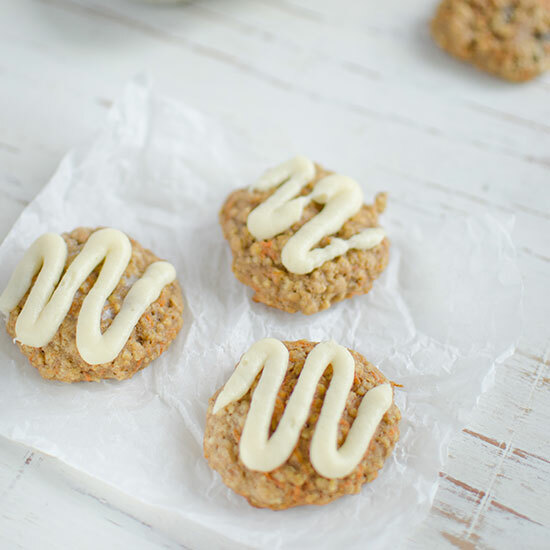 If you like carrot cake with cream cheese frosting, then you will love these cookies. Flax seed meal and whole flax seeds add nutritional value to these gooey made-from-scratch oatmeal raisin cookies. Lisa Yockelson's Chocolate Chocolate is a massive compendium of 200 recipes for almost every chocolate dessert imaginable. There's one recipe that's not in the book, however: her irresistible chocolate-chip oatmeal cookies, filled with shredded coconut to make them extra chewy.